You are exceptional and unique in the work you do with Bike Friday. I have always relied on you for information and detail relating to your work with the company when working on many shows for the American Networks. You know your business, having ridden around the world on a BF folding bicycle over a seven years, and your contacts in such a specialized trade is second to none. You must continue your worthwhile work in getting people to ride bikes and assist in designing an eco-friendly environment with sustainable transport. Your background does not have a rival as you are the most experienced person I know. I believe the last time we met was in Sydney's Darling Harbor and we finished up in the social pages of the Sydney Telegraph! So clearly everyone knew of you! Your continuing work can only be of benefit to others there, and I wish you every success. International TV Commentator with OLN, ESPN, NBC and CBS television networks. 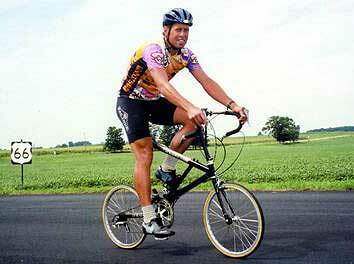 Lon Haldeman, Race Across America record holder, Ultramarathon Cycling Champion. 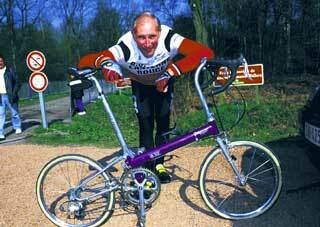 I was aware of Lynette's outstanding contribution to the cycling world for several years, via the Bike Friday website. As Race Across America official, coast-to-coast tandem record holder, and cross-country bicycle tour operator, I know that it is hard to convince our society of the importance of fitness as we age. I invited Lynette to accompany me on my inaugural "Highest Paved Road in the World (Peru)" expedition in October 2004, with goals being a) to open the minds of performance cyclists to integrating culture with training and performance touring and b) to raise funds for an impoverished Peruvian orphanage and school. Lynette produced an outstanding feature length, commemorative movie which has stimulated a tremendous amount of interest in, and appreciation of, both cycling and a foreign culture, to audiences who have seen it. On a day to day front, Lynette Chiang is unique as a marketing person because she practice what she preaches. She doesn't just make up advertising slogans to sell products. She uses these products and her enthusiasm is obvious without contrived hype. Although Lynette is a petite woman she is a powerhouse when influencing the women's (and men's) cycling market. She is a benefit to the American cycling industry and a great example of what can be accomplished with persistence and intelligence. 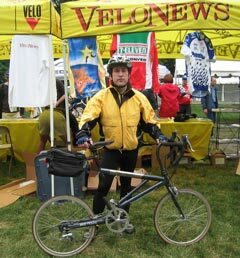 John Climaldi, Former Events Director, Hawaii Bicycling League, comments on Route66 by Bicycle: Pedaling the Mother Road. I have had the opportunity to work with Lynette on a number of bicycle related projects and on each one she was a driving force in formulating solutions. I have spent my entire career in the bicycle industry and in those thirty years I have had the opportunity to work with numerous people connected with sustainable transportation problems and Lynette is one of the best I have worked with. She has strong writing and marketing skills and she is effective in bridging concepts and establishing consensus. 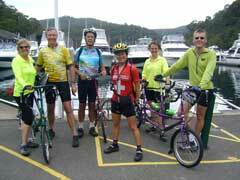 Cycle Oregon is a non-profit organization dedicated to bicycling enjoyment, safety and education. All proceeds from the ride go to the Oregon Community Fund, which helps preserve and protect the special places of Oregon and supports community development projects in the regions through which we ride. Cycle Oregon would be delighted to have someone with Lynette's abilities on our staff. I hope that she is able to remain in United States so that we might have that opportunity. She is a valuable asset to alternative transportation planning in the United States - intelligent, energetic, and very knowledgeable about bicycling issues. Kristin Allen, Past Bike Friday Marketing Director: Despite outward appearances, Bike Friday is not an easy place to work. The pressures of marketing the world's leading performance travel bicycle - a custom, niche product, manufactured entirely with American labor to a discerning and wealthy audience, not to mention coordinating the efforts of 25 eclectic in-house creative folks - demands a special kind of marketer. Lynette has perfected the 'customer evangelist' style of marketing. This is the world-of-mouth kind of marketing that elevates customer loyalty to near-fanaticism. She has her own fan club of Bike Friday customers, who return to the web site and open the newsletters just to read of her latest adventures and thoughts. She has an amazing ability to make customers feel like a part of a community. This attitude has led them to send photos, stories, videos, product reviews, and more which we were able to draw on for virtually every marketing project. It even enabled Bike Friday to outdistance cult brands such as Apple Computer and Harley Davidson to win the coveted Saatchi & Saatchi International Lovemarks Poll in 2004 for the world's most beloved brand. Lynette's high energy and creativity has helped her meet some outrageous expectations at Bike Friday's new brochures, ads, and direct mail pieces in just a few hours when necessary, and entire marketing campaigns on a handful of dollars. She is great at seeing possibilities and generating new ideas. Lynette has remarkable staying power in a small department that has burned through nearly a dozen people - including me - in as many years. Few writers have Lynette's command over the English language. She is able to take the most mundane information and create a sentence, paragraph or story that will make you laugh out loud or see something in a whole different light. She can tell a story such that you really feel you are there, yet so concisely that you never tire of the details. I only wish that I could achieve Lynette's prolific storytelling ability and witty style in my own writing. If I need writing services in the future, Lynette would be the first person I would contact. Don Fannon, Bike Friday Customer, on the Customer Evangelist who "creates mindshare" I see a Customer Evangelist's primary role as creating a positive experience of a product and company behind it, for the benefit of current and potential customers. A secondary role is providing an additional conduit between the company and its prospects and customers. There are many ways to observe successful evangelism but few ways to measure it concretely. Hence, I'll provide some observations and conclusions but only one feeble measurement. Perhaps the best observation I can make is that to bump into Lynette is to bump into Bike Friday. She tangibly represents the values, ideals and mission of BF, a company which to me, even after buying a Bike Friday, was simply a bicycle manufacturer/seller with a unique, excellent product and laudable service. Lynette (and later other BFers) showed me there was much more. 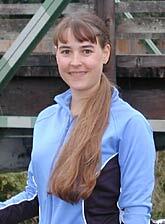 My only in-person encounter with Lynette was on Cycle Oregon '03. At first she simply overshadowed all the other BF staffers. She was a greeter, activities director, information clearinghouse and cheerleader. It was plain that this woman defined a great time as being with a bunch of cyclists. Of course, this resonated nicely with we who were investing time and treasure to participate in the ride exactly because we had similar views of great time. Later, she deftly introduced the other BF staffers helping us connect faces to phone voices and names to roles. She positioned each to showcase the company by showcasing the talents, visions and personality of each of her colleagues: Hanz with the Q demo, Alan discussing the history and philosophy of the company, Marcus sharing repair tips and how to best use the service department. This is not easy stuff to "get" quickly, yet she made it appear effortless. I've had plenty of other encounters with her as well. The stream of YAK! blog posts, website articles and newsletter content is simply a treat. Lynette's writing style, choices of places to visit and people to discuss, musings on her evolving needs/uses of BF bikes and configurations have shown many BF customers how accessible a great biking experience can be. The images she captures and shares bring that experience close and get us revved to sign up for a tour, or ride our bike to work today, or just go for a spin out of sheer delight that we are able to ride. Another area where I'm sure Lynette has helped BF is her openness to exploring and meeting. Her article on the Little People of America Convention, to pick one example, reminds us readers that each day is an opportunity for tossing a preconception out the window. Her presence at this event showed that BF can make cycling accessible and exciting for people who thought it out of reach. A great piece of work. Lastly, the feeble measurement I mentioned at the outset. Lynette's activites get mindshare for BF from its existing and future customers; that ephermeral and critical element of maintaining a connection between (and among) them and the Friday community. It is mindshare that made it automatic for me; the great 5,000+ miles I put on my NWT left a good impression, but it was Lynette's doing that I never considered keeping it for a travel bike and getting something else as a daily rider. I'm lovin' it, the best bike I've ever owned. It's mindshare that causes me to check that I have referral cards each time I leave for a ride. I certainly understand that my impression of BF has been formed from a variety of impressions and experiences with many people at BF and from the products themselves. Yet, many of those have been influenced by Lynette's work and she deserves kudos. I doubt many companies have evangelists so capable and so well-matched to their role as BF has with Lynette Chiang. I'm looking forward to more encounters in the future. Story: What does a Customer Evangelist Do On a Friday? To choose only a few of Ms Chiang's strongest personal attributes is a challenge for me; she has so very many terrific qualities. 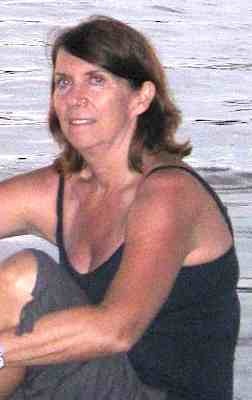 I became acquainted with Lynette when considering the purchase of a Bike Friday about eight years ago. We have remained in contact since then and have been guests at each other's homes. I am both a client and a friend and I admire her tremendously. Lynette's personality is infectious. Her enthusiasm is always pervasive when discussing products events or even during casual conversations. She is a tremendous salesperson. Lynette is thorough about her product knowledge. With open questions, she is able to perform a "needs analysis" and then recommend specific solutions. She is then able to follow through by emphasizing how a product's features, functions and benefits will relate to the client's needs. Lynette's communication skills are superb, whether on the phone, internet or in person. She is able to make her point, create interest and inspire follow-up. Lynette is a special person, and I am delighted to write this letter of recommendation. And so with the arrival of Lynette back in Oregon, her imprint, her unmistakable spirit, her unique viewpoint again begins to infuse the Bike Friday web site, and YAK. Do the Brothers value what you do enough? Do they get that you express the exact message that they want to convey? Do they understand it's not enough to simply have a great company, but that you have to be able to express the greatness to the public? That expression is You. It's different when you're around, Lynette. All of a sudden the clutter, confusion and business of the "new and improved" home page is gone, leaving the important basics and a one picture message, "THIS IS WHAT WE'RE ABOUT", whispered and shouted at the same time. All of a sudden, as we come looking for bikes, we're offered the story of a 12-year world traveler riding by, momentarily adopted, because you understand your reason for being there is not strictly about bikes, but about spirit, and if you tickle and wave spirit, the bike sales will always therefrom flow. 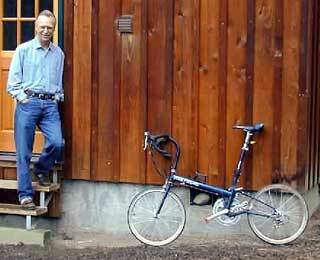 Richard Vallens, 3x Bike Friday owner. 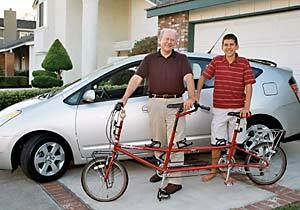 Read Lynette's story about Richard winning the Toyota Prius in the Saatchi & Saatchi International Lovemarks Poll. ombudsman not only for the bike company she represents, but for the human condition. Down-to-earth and practical, she accurately sizes up a situation and finds ways to make things work. In this complicated world, she brings a refreshing perspective under sometimes adverse conditions. Am I a better person simply by knowing her? Yes, a more caring one, a more observant one, a more compassionate one. I met Don at Round*Up 2004: The Compact Bicycle Universe, Philadelphia. Full Galfromdownunder report. Just to be clear, my motive is benign, pristine... well intended. You are remarkable. Absolutely. Or, more accurately, the "you" presented in writing and films gleaned from the world wide web; customer evangelist indeed! I am in need of a new ride. When gas hit $3 in the U.S., (compared to the $12 a liter I witnessed in Milan in 1990) gasp! three dollars!?! ?, I bought a two wheeled motorized vehicle for those days when I did not need the car (I have been wishing for more such days lately); and now when it hit $4... well, time to get back into cycling. Why did I stop anyway? I used to happily pound mountain bike mile after mile in the Berkeley Oakland Hills once upon a care free collegiate time. So my obsessive research began. Tourer? Custom Tourer? Road Bike? Hybrid? I have been riding my boutique-steel beloved Wicked Fat Chance with road wheels happily from time to time. Maybe repaint it, throw a rack on it, buy paniers, a light, maybe fenders and be done with it -- after all, I convinced myself long long ago when I paid too too too much for it, that I would ride it forever. Interesting, but seems, well testosterone-less. I want to pound. More research elsewhere.... but more hum drum. $1,500 to way way way too much, and still despite moments of piqued enthusiasm that I had found what I wanted / needed / craved, hum drum came back to mind. I think, while myself not yet testosterone-less, that in fact I came to realize that I have less testosterone; and what I do have is appropriately used where it ought be used, rather than perched upon machinery that deserves more talent than I could ever muster. And this Bike Friday concept kept coming back to me, steered there elegantly by this Australian mirth -- call it happy chirp -- this voice in the back ground of these videos I watched to research if the bike could in fact be brought to respectable speed under the force of a proper peddle stroke, this voice and manner made me feel and sense ... Fun. Fridays are fun! 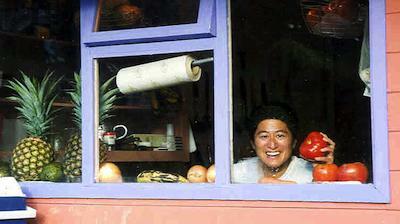 I was a co-owner of Avalon Reserve in Costa Rica when Lynette Chiang worked at our hotel in 2000 through 2001. Avalon welcomed volunteers from around the world and catered to guests looking for a unique experience in a beautiful cloud forest. Lynette brought her own style of preparation of food to the kitchen at Avalon using freshly grown vegetables and fruits on the property and locally grown produce from nearby towns. The guests and volunteers were always wowed by the scrumptious meals and desserts she presented, using our minimal equipment and resources (two gas burners a microwave and basic staples). One of my favorites was the breakfast of berry muffins and pancakes served with a variety of innovative toppings. In addition, Lynette expertly helped run the hotel, by taking on the food budgeting, weekly buying of produce, scheduling volunteer tasks, managing guest meet and greet, cleaning of rooms, doing building maintenance and even taking part in construction by sheetrocking and helping with the framing of a new wing. She put together a comprehensive manual so that my daughter and partner could smoothly take over the running of the hotel when she eventually moved on. I spent many fun filled hours with Lynette and our guests in the kitchen which is always the heart of the home filled with memorable aromas and scents, laughter and conversation. I would highly recommend Lynette for her hard work ethic, inspiration, and creativity. Copyright 1997-2010, Galfromdownunder.com. All rights reserved.